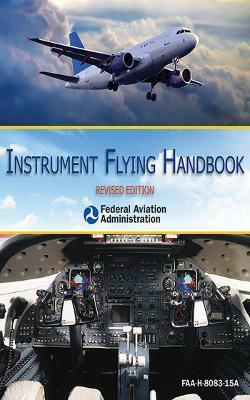 The Federal Aviation Administration's Instrument Flying Handbook provides pilots, student pilots, aviation instructors, and controllers with the knowledge and skills required to operate an aircraft in instrument meteorological conditions.This up-to-date edition is illustrated with full-color graphics and photographs and covers topics such as basic atmospheric science, the air traffic control system, spatial disorientation and optical illusions, flight support systems, and emergency responses. The book's two appendixes contain information on clearance shorthand and an instrument training lesson guide. Readers will also find a handy glossary and index.Since many questions on FAA exams are taken directly from the information presented in this text, the Instrument Flying Handbook is a great study guide for potential pilots looking for certification and a perfect gift for any aircraft or aeronautical buff.Additional topics included throughout this text include:Ground-based radar navigationApproaches to civil airportsFlying and landing in difficult weather conditionsAircraft system malfunctionsAirspace classificationDifferential global positioning systemsAnd many more!